Economic Pakistan | There is no substitute for accurate knowledge. Know yourself, know your business, know your men. Know the Economic Pakistan! Note: Kindly note that the links to all articles (Textile, CNG, Automobile, IT, etc) have been updated! Articles may not turn up in google searches currently. Scroll below to view the Articles – Thanks! The World financial crisis of 2008 – 2010, exposed the weaknesses in the several of the first world economies, which were earlier considered to be the paradigm of economic success. Failure of the banking system, collapse of sub-prime mortgage business, ascending debt-to-GDP ratio, unpredictable unemployment and bankruptcies declared by several established businesses, raised serious doubts regarding the foundations of those economies. Pakistan and most of the Middle Eastern economies have remained safe from the domino effect of the world financial crises, both for entirely separate reasons. The problems confronting Pakistan’s economy are due to economic mismanagement, living in quandary regarding policies, misplacement of priorities and corruption – not worldwide recession. While the first world countries continue to have the resources and finances to deficit finance their economies out of recession, to push start the cycle and to increase the aggregate demand – third world and smaller economies like Pakistan have few viable options to exercise, these options being more functional and realistic. Budget 2010-11 has come with many promises to reform the economy. The government has set forth few objectives for it to achieve. The 7th objective is a resolve to make the country ‘fertile for investment’, with whatever limited resources available. If an economy runs towards economic imbalance, stagnation or recession, or if one has to kick start a new economy, there are two main options any government has. First, the government along-with the Central bank pledges to pump in direct money to start the circulation cycle. Recent examples of this are the US government’s pledge for the ‘rescue package’ worth roughly $12 trillion towards the economy. Similarly UK government spent nearly a trillion Pound to bail out and refinance its bank through ‘Quantitative Easing’. Likewise, Japan also launched above $350 billion stimulus packages, to lift its economy out of the recent recession and over the past decade of its economic stagflation it has taken several such smaller initiatives to stimulate the economy. All these measure will fall under what is termed as Keynesian thesis after J M Keynes. Alternatively, one may call these Deficit financing. The idea is that the government uses its resources to increase consumption and liquidity which in turn increases demand and economic activity resulting in increased jobs and employment. Economic Pakistan would like to deviate from its regualr articles to cherish alongside their Arab brothers, an accomplishment worth mentioning. A Muslim Country UAE has marked History, by erecting the World’s tallest icon, 828 meters or 2717 feet, probably the only superscraper, giving the Muslims a reason to celebrate. 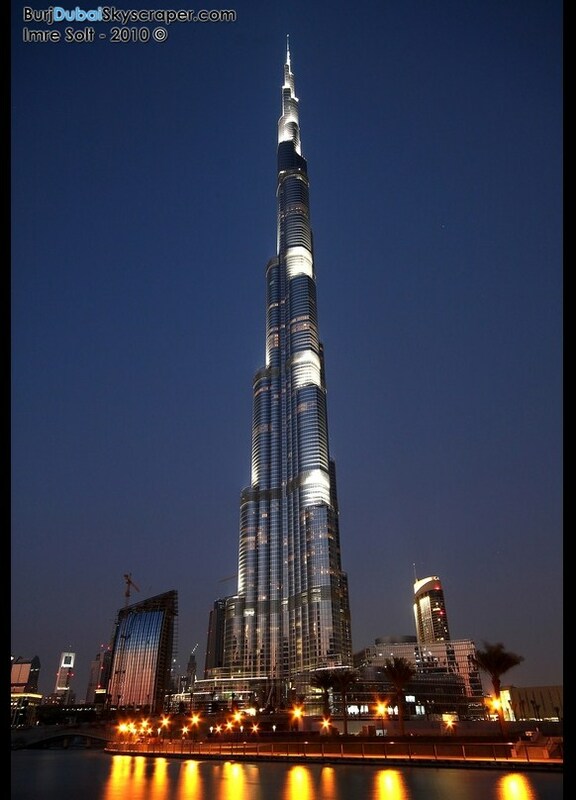 It is the tallest man made structure. It is the first time the Muslim world has claimed of having the title of the world’s tallest man made structure since year 1311, when Lincoln Cathedral 160 metre tall, exceeded the height of the Great Pyramid of Giza in Egypt. The Great Pyramids remained the tallest man-made structure in the world for over 3,800 years. Burj Dubai will boast the world’s first Armani hotel; the world’s highest swimming pool, on the 76th floor; the highest observation deck on the 124th floor; and the highest mosque on the 158th floor. Hats off to the leadership of Dubai! In January 2004, Dubai announced Burj Dubai to the world with the claim, ‘History Rising’. Six years on and history has most certainly ‘risen’. ISLAMABAD: Pakistan on Monday formally joined the international community of fighter aircraft manufacturers as JF 17 Thunder, the first ever multi role state of the art rolled out of Pakistan Aeronautical Complex, Kamra and was included to the fleet of Pakistan Air Force. 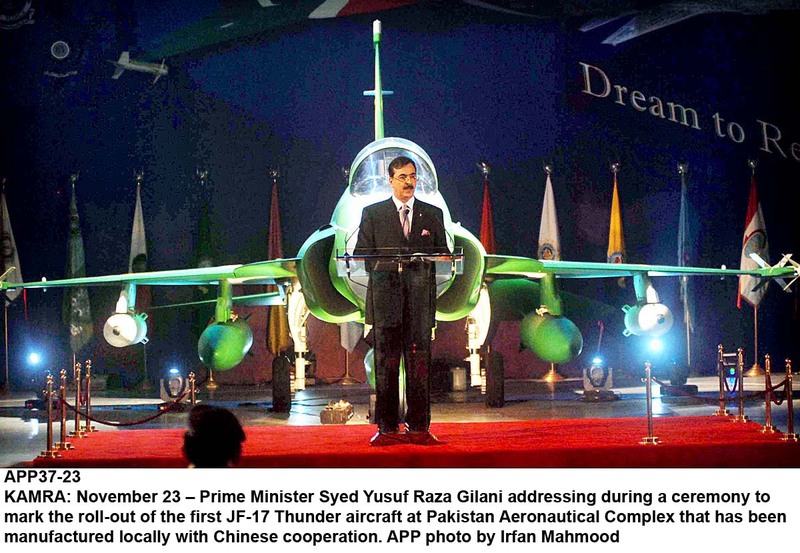 Prime Minister Syed Yusuf Raza Gilani was the chief guest at the ceremony that marked a milestone in the Sino Pak joint venture in air defence system. Senate Chairman Farooq H. Naik, Federal Minister for Information Qamar Zaman Kaira, Defence Minister Ch Ahmed Mukhtar, Chinese ambassador to Pakistan Luo Zhaohui, Pakistan’s ambassador to China Masood Khan and three services chiefs attended the ceremony. The sophisticated JF 17 Thunder, painted green in the colour scheme of national flag appeared with grandeur as the Prime Minister unveiled the fighter jet before the audience. Manufactured with the cooperation of China, the event has been termed as a beginning of new era of Pak China friendship. Addressing a select gathering of local and foreign dignitaries and PAF officials, the Prime Minister said the goals of progress and prosperity could not be achieved without achieving self reliance in the defence production. Economic Pakistan · There is no substitute for accurate knowledge. Know yourself, know your business, know your men. Know the Economic Pakistan!